Futons are great for kid’s rooms, extra bedrooms, and for the office. They make it easy to sleep one or two people at night, while comfortably seating two or three people by day. 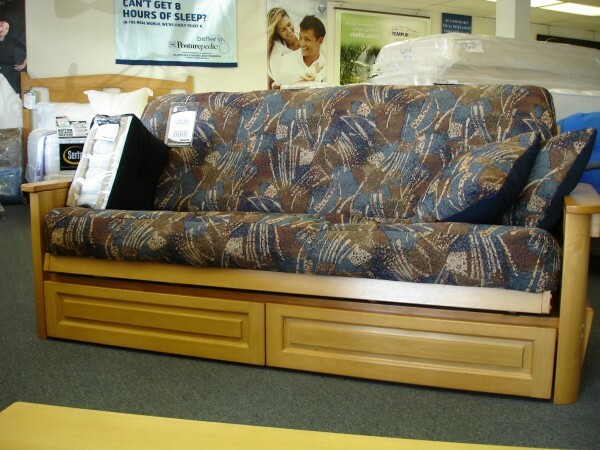 For the largest selection of frames, futon mattresses and covers, please visit our show room where these and many other models are all available for immediate pick-up or delivery & set-up. Click any of the images to get a better look at some varying styles. We also carry a wide variety of futon covers. Many of the patterns are shown and others are available at a discount with any futon frame purschase.